Roasted bell peppers pasta sauce is so good! 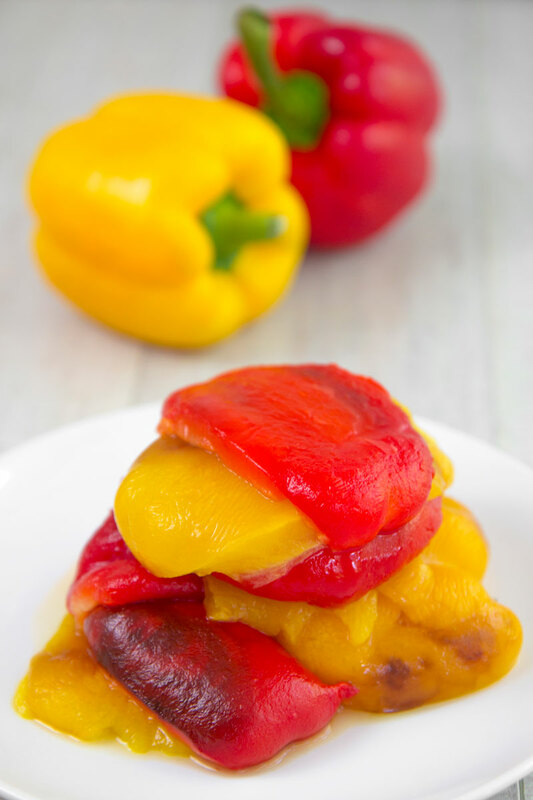 The smoked and sweet taste of bell peppers pairs perfectly with the salty of pancetta and Pecorino Romano. Sweet basil gives a note of freshness, but fresh mint is a great alternative. 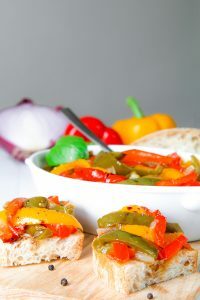 You can save a lot of time preparing peppers the day before and enjoy a great dish of Italian pasta in a few minutes! 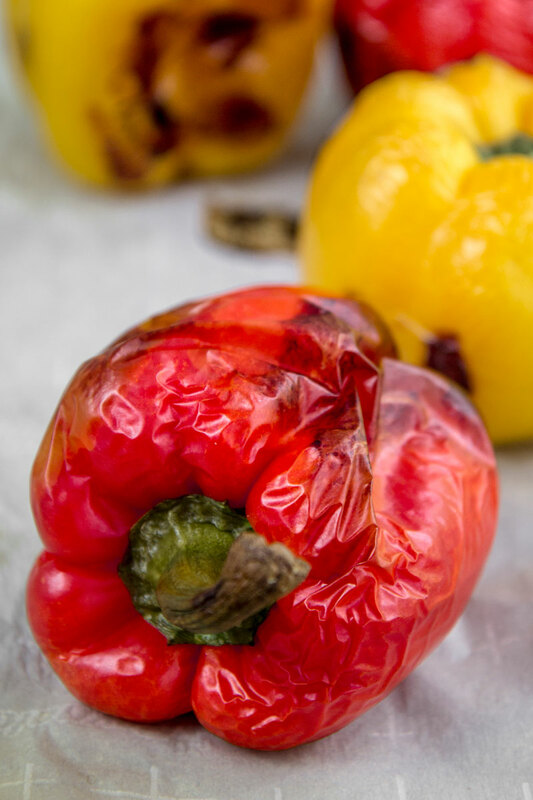 Rinse and dry the bell peppers, then place on a tray lined with parchment paper. Preheat the oven to 480° F (250° C) and bake the bell pepper flipping them halfway until the skin is charred and soft and the peppers start to collapse (about 40 mins total, but it depends on the size of peppers and the oven). Meanwhile the bell pepper are roasting, mince the onion and garlic, then pour in a saucepan along with 3 tbsp of extra-virgin olive oil over medium heat. Sauté until smooth and translucent, stirring occasionally. Finally store the vegetables in a covered bowl. 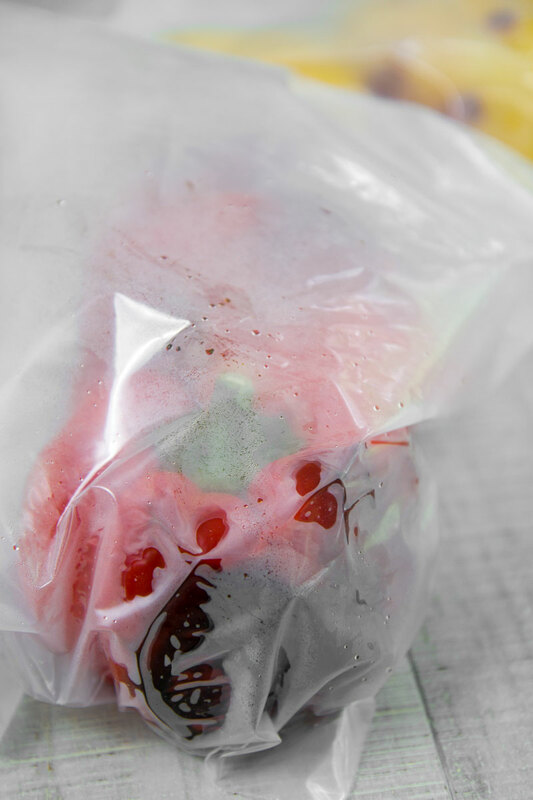 When the bell peppers are fully roasted place them into sealed ziploc storage bags, one for reds and one foe yellow. Handle the peppers with care: they contain scalding liquid! Wait 15 minutes; the vapors will help to remove the skin. Now, discard the stems and the seeds, eliminating the liquid inside the peppers. Peel the peppers starting from yellows one at a time, keeping the others into the plastic bags. You want peel the peppers when they are still hot; otherwise, they will be very hard to peel. After that, dice the red peppers then salt as needed and place into a strainer in order to eliminate all the liquid in excess. Finally, prepare the sauce. 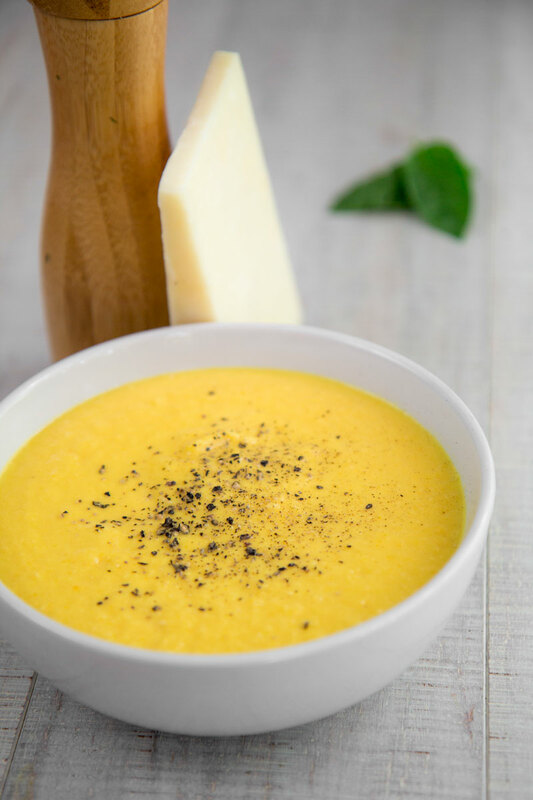 Blend the yellow peppers fillets along with 3 tbsp of extra-virgin olive oil, the Pecorino romano cheese, and black pepper until smooth and consistent. You want to make this step just before to cook pasta, in order to maintain the crunchiness. Pour the pancetta crumbles in a little pan, and place over medium flame. Heat the pancetta and fry in its own fat, stirring frequently. 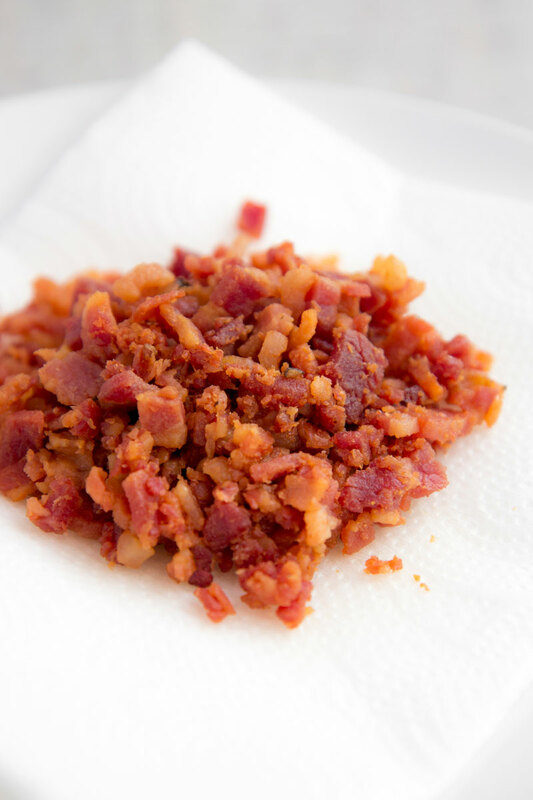 When the pancetta is crunchy and golden brown, discard the fat in excess and place the meat over paper towels. Cook the pasta into 5 Qt of boiling water seasoned with 4.5 tbsp of coarse salt. Meanwhile, pour the yellow pepper sauce in a pan along with basil reduced coarsely and reheat over medium/low flame, salting as needed. 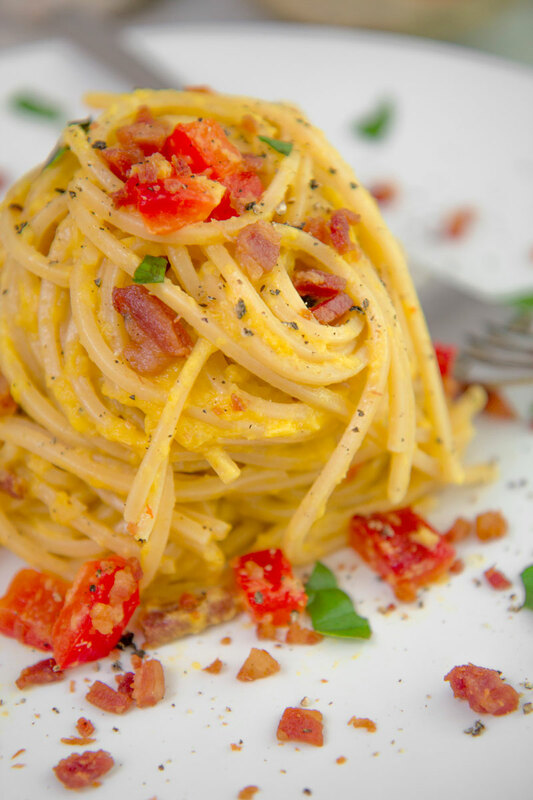 When the pasta is al dente raise and toss into the sauce along with the pancetta crumbles and diced red peppers. Serve the roasted bell pepper pasta immediately. Cook the pasta into 5 Qt of boiling water seasoned with 4.5 tbsp of coarse salt. Meanwhile, pour the yellow pepper sauce in a pan along with basil reduced coarsely and reheat over medium/low flame, salting as needed. 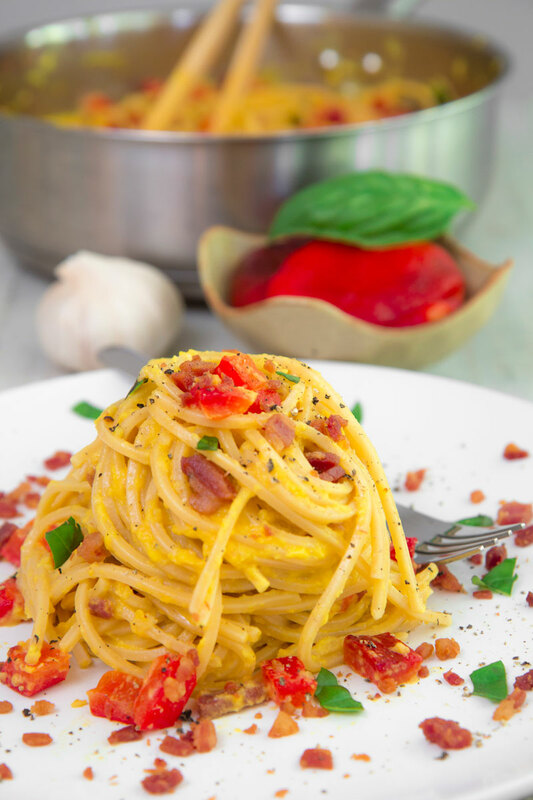 When the pasta is al dente raise and toss into the sauce along with the pancetta crumbles and diced red peppers. 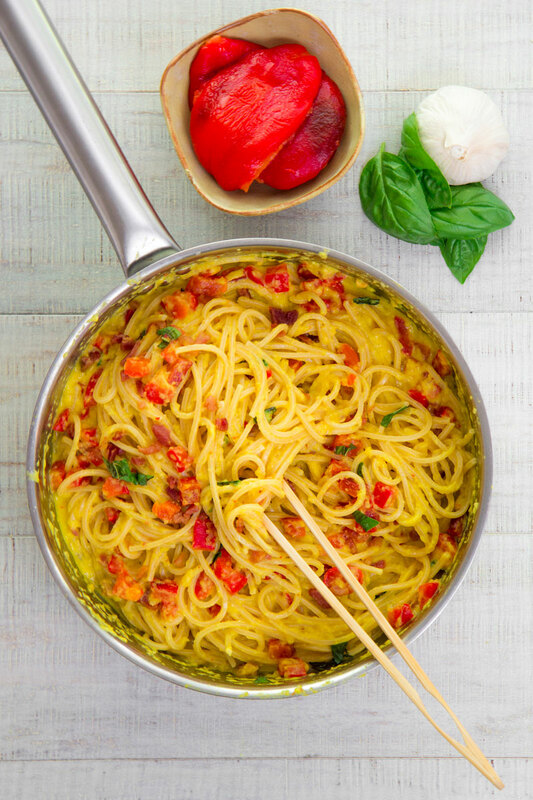 Serve the roasted bell peppers pasta immediately.